Home » Linen, Facilities, and Uniform Services Blog » Uniform Services » What Industries Benefit from Renting Uniforms the Most? What Industries Benefit from Renting Uniforms the Most? Deciding whether to buy or rent your company’s uniforms can be a daunting task, but depending on what industry you’re in, the choice may be easier than you thought. Factors like size, turnover rate, and contracts can influence your decision, so it is important to understand all your options before you select which program is best for your company. Rental programs offer clean and professional uniforms week to week. If you need your items laundered, repaired, or replaced, uniform rental services have you covered to make sure your employees are always looking their best. If this doesn’t appeal to you, maybe purchasing uniforms is the best way to go. This way you have the freedom to change the style, color, or logo of your items at will, and you can save up to 40% of what you would spend if you had to rent your uniforms. If you’re still unsure about which option is right for your company, the following will help guide you to make your decision. When to buy: Many hotels and resorts buy their uniforms if they can wash their items at their own location. Purchsing uniforms allows managers the freedom to change the look of their uniforms each year and supply them with better quality items — keeping up their establishment’s appearance. When to rent: If your hotel wants to enjoy the benefits of a rental company taking care of all your uniforms needs, the switch is easy. With a rental service, you will be able to designate how many uniforms you will need, how often, and replace your items with fresh, new ones when uniforms are damaged. When to buy: If you want the freedom to change your uniforms as you please and not tie yourself and your company to a 2-5-year contract, then buy your uniforms from the start. This way you can save money that comes with renting your items and have higher quality uniforms. When to rent: If image is everything and you want to be responsible for the appearance of each and every uniform in your casino, then renting is the best decision. You will be able to maintain hygiene and ensure product quality by using advanced washing machines that come with the rental cleaning programs. 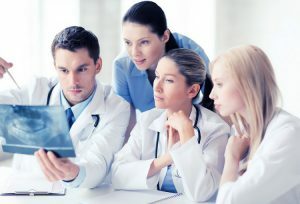 When to buy: With the considerably smaller number of employees at a doctor’s/dental office in comparison to a hospital, buying your uniforms is best. With a smaller number, you can trust your employees to take care of laundering their own items up to health standards. When to rent: If there is any institution that has to deal with unwanted liquids soiling their clothes, it’s the hospital industry. Scrubs are the biggest challenge to keep clean as blood and other bodily fluids are guaranteed to stain them. Since uniforms are soiled on a daily basis and uniforms must be kept up to health standards, renting would be a wise choice. When to buy: Do you have the storage space to keep unused uniforms? Do your employees leave after a long day of work still looking generally clean? If this is the case, then look into purchasing your uniforms. When to rent: If your factory has a way of making your employees dirty, a uniform rental company can take care of hundreds of employees’ uniforms. On top of this, if you have new employees on a regular basis, rental companies reduce costs associated with employees that will only be there a short time. When to buy: Is your restaurant small with few employees? If your answer is yes, then it is probably easy for you to stay on top of each of your employees on a daily basis. Buying uniforms will also help save your small business from unnecessary costs that would come with renting uniforms. When to rent: This can vary depending on size and laundry availability. 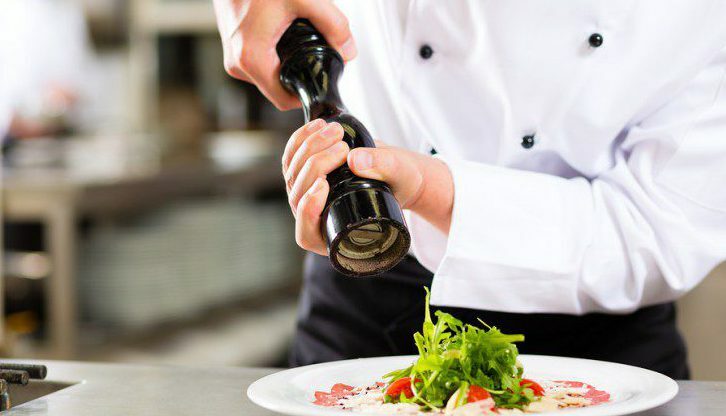 If you have a large establishment and no way to launder your restaurant’s uniforms onsite, renting is a great option. This will keep your chefs, kitchen staff, and servers always looking their best. Catering may also require rental services, as laundry services can help with large parties. When to buy: If your employees can handle washing their uniforms, then don’t bother with the extra costs that come with renting. Construction can be dirty work, but that doesn’t mean your employees can’t handle taking care of their safety garments. When to rent: If your safety jackets are always getting ripped up or too dirty to even wear, renting could be a good choice. Rental companies will set you up with a system to replace your damaged items and clean your safety jackets and work pants with sophisticated laundry supplies. 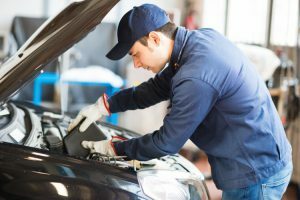 When to buy: If your mechanics that deal with the grease and grime stay in the back away from customers, then appearance might not be as important to you. You may feel comfortable allowing your employees to be responsible for cleaning and laundering their own uniforms. It is also a wise idea to buy sales uniforms upfront. When to rent: Do your mechanics who work on the automotives come in to contact with your customers? Is their presentation and cleanliness important to you? If your answers are yes, then renting could be a good choice. Rental companies will set you up with cleaning programs to get those tough grease stains out and repair your items that are ripped or destroyed. Get FREE Quotes on Purchasing and Renting Uniforms in Any of these Industries Today! If this has swayed you into purchasing uniforms for your employees or renting uniforms for your benefit, Uniform Nations can connect you to a uniform provider in your area. Whether you are looking to rent or buy, our partners provide top quality uniforms to keep your employees looking fresh. Find out if purchasing or renting uniforms in your industry is the right solution for you by calling us today at (866) 467-4178 or by filling out the form to the right. Within minutes of receiving your request, you’ll be provided with a list of free uniform quotes from experts near you. It can be tough to decide whether your company should buy uniforms/linens from the start or choose a rental service to help manage and maintain your supplies. This infographic provides four of the main benefits of using a uniform and linen rental service in the healthcare industry. Should I Rent or Lease Uniforms? This article clarifies the difference between a uniform rental program and uniform leasing and why one may be better for you than the other. Click here to learn if renting or leasing uniforms is best for your business. Dealing with dirty laundry is a big part of any service-oriented organization. Linens and uniforms need to be cleaned quickly, correctly, and as efficiently as possible. This infographic focuses on a few key metrics businesses should consider when choosing between doing their own laundry and outsourcing the process to a local contractor.